I don’t care what their reasons are! This is so uncalled for and very humiliating. Nigerians keep voting in touts as Law makers and these people are so uncultured and behave like village rascals. They never seize to make headlines on National newspapers and TV stations. They are either physically or verbally abusing one another. Sometimes it could be war against Nigerian political giants APC vs PDP. 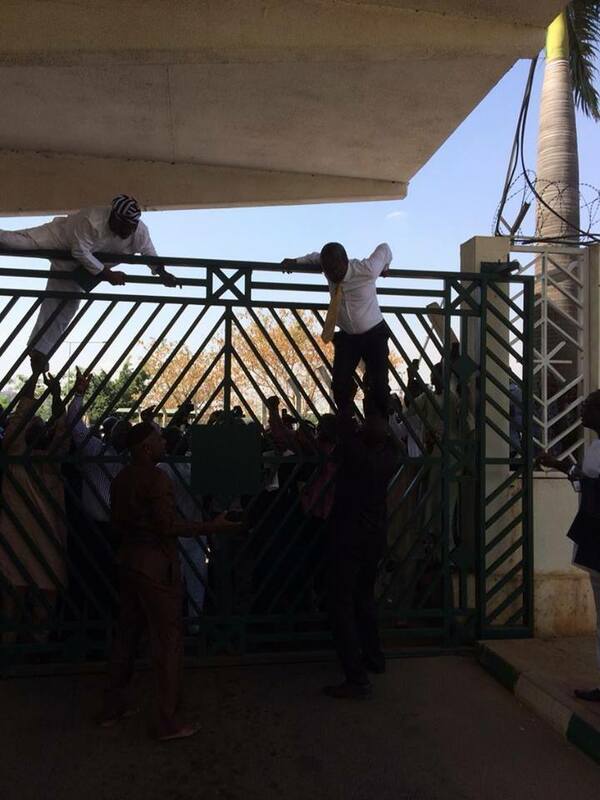 Young intelligent and cultured Nigerians are deprived of their rights. Well educated and mannered young leaders won’t behave like touts. They are elites, they know their rights, they are lawmakers, that’s why they need to be given the chance to lead. WE NEED TO FLUSH OUT OLDIES FROM OUR POLITICAL ARENA. The problem is that most NIGERIAN POLITICIANS have nothing to fall back on apart from contesting and looting. Their Western counterparts are lecturers, consultants and have careers to fall back into or establish their own businesses and lead. But the old politicians in Nigeria, speak big big rubbish incorrect grammar and in the end use Ghana must go to steal our money and share. That’s why African politicians cling on power till they go to hell. The unfortunate thing is that, they give money to the youths who just want to associate with them based on names, monies and status. These foolish youths don’t know they are selling their rights and freedom to these greedy bastards. This is my prayer to all Nigerian politicians who oppress the poor masses and deprive youths of their rights and those who want to join politics for thesame old reasons, make so much money. “YOU WILL DIE AND GO TO HELL AND ENJOY ALL YOU’VE STOLEN WITH THE DEVIL”. AMEN. You must serve and develop the nation, state or community. You must give back to the society who trusted and voted you in there. Live and lets live. Real Truth Why Nigerian Celebrities Are Turning To Politicians- MONEY + FAME!!! For the past few years, Nigerian actors and actresses have turned to politics for extra money and fame. Example; Nkiru Sylvanus (Imo State Govt), Okey Bakassi (Imo State Govt), Bob Manuel Udokwu (Anambra state Govt), RMD(Delta State Govt) and many more. Recently, Desmond Elliot (actor), Kate Henshaw(actress),9ice(musician), Tony Tetuila(musician) and many more have declared their interests in Nigerian politics come 2015 Elections. I ask myself, what do these Fame and money seekers want? and yes all they want is more FAME and more MONEY!!!!! Unfortunately, Nigerian voters think with their heads upside down. What political experience and qualifications do these people have to Lead us???? Why not focus on pushing Nollywood and Nigerian music out there to global recognition? Very soon Don Jazzy will join politics and that will really put me off because he needs to validate Nigerian music to the world and he is doing so well at the moment, going into politics, he will loose my respect. According circa, A mob of young men armed with clubs raided an Ebola clinic in Monrovia, stealing bedsheets and claiming that the virus is a government hoax to get money. Nurses and at least 17 of the clinic’s 29 patients fled the quarantined area which had been set up in a high school. Health officials are concerned that blood-stained bedsheets stolen from the clinic could pose an infection risk. 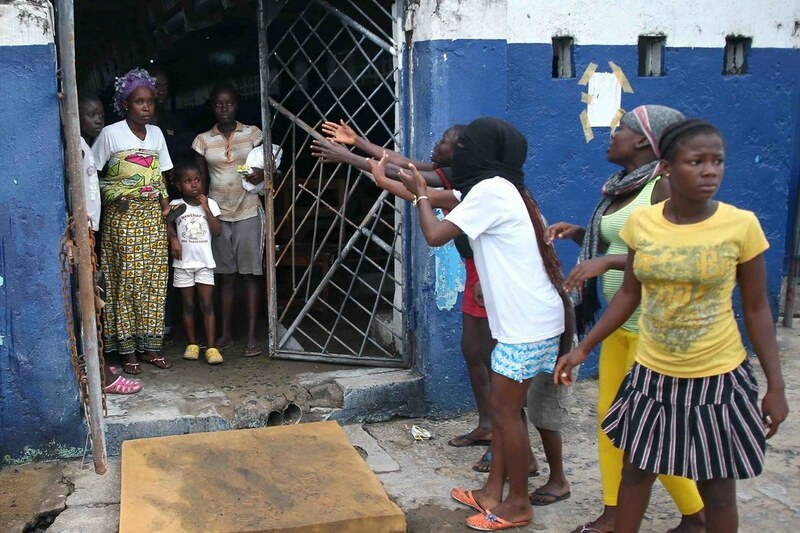 The 17 missing patients are loose in a poor township of more than 60,000 Liberians. 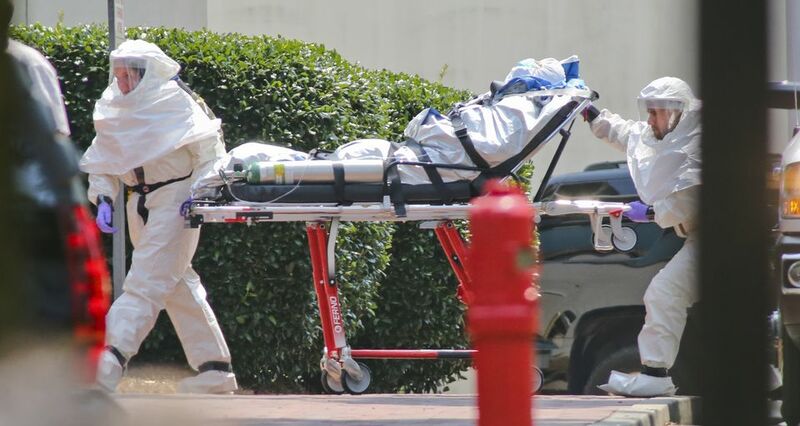 Can you believe that the experimental drug for Ebola has been available since 2012 in CANADA? I wrote an article in April this year about how our Government won’t take this illness seriously until it turns into something else. And yes my honest self has said it the way it is playing out now. You can come back to Click on this LINK and read it later. Monkeys infected with Ebola have been cured by a cocktail of three antibodies first administered 24 hours or more after exposure. The result raises hopes that a future treatment could improve the chances of humans surviving the disease caused by the deadly virus, which kills up to 90% of infected people and could potentially be used as a biological weapon. Most treatment regimes tested to date only improve chances of survival if administered within one hour of infection. Researchers based at the National Microbiology Laboratory in Winnipeg, Canada, administered an antibody cocktail named ZMAb to cynomolgus monkeys (Macaca fascicularis) infected with the Zaire virus — the deadliest strain of Ebola, prevalent in African countries including the Democratic Republic of Congo and Gabon. All four of the monkeys that began the three-dose treatment regime within 24 hours of being infected survived. Two of four monkeys given the cocktail from 48 hours of infection also lived. A monkey that was not treated died within five days of infection. 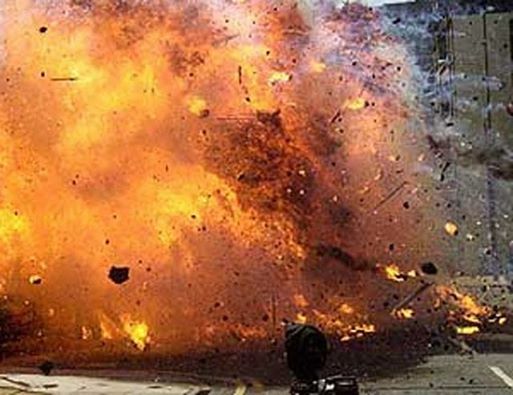 According to reports there was deafening bomb blast at the premises of Kano School of Health Technology located along Gida Murtala–B UK Road. The high calibre improvised explosive device went off aroud 2pm today while students were in session. 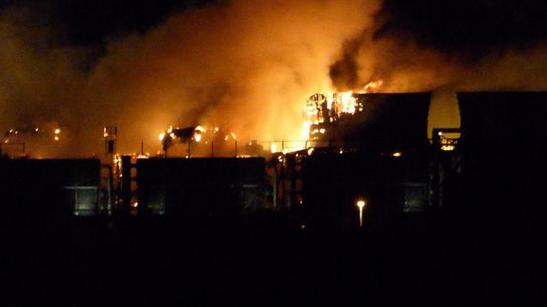 8 students have been confirmed dead while 12 others injured. Kano state commissioner of police, Alhaji Adenrele Tasheed Shinaba, told reporters that incident occurred at about 2.05pm. He also mentioned that the suicide bomber had rucksack on his back, pretending to be one of the students only to eventually blow himself up alongside his victims. Sudanese protecting the bomber Nyanya bomber Ogwuche from being extradited back to Nigeria, beause of the strong links they have with a Nigerian monarch who has been linked to sponsoring Boko Haram activities in Nigeria. According to a report from Vanguard, After three days wait in Khartoum, jet returns to Nigeria without suspect. Also, there were strong indications, yesterday, that the security services have commenced a high-level investigation of a monarch in northern Nigeria, suspected to have links with the members of the Jama’atu Ahlis Sunna Lidda’awati wal-Jihad, which, in English, means, “People Committed to the Propagation of the Prophet’s Teachings and Jihad”, otherwise known as Boko Haram. 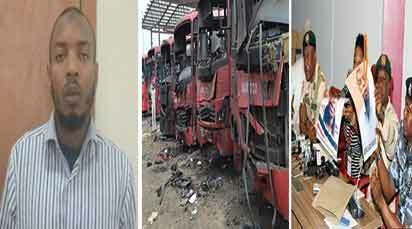 The investigation followed the intelligence gathered from Khartoum, the capital of Sudan, regarding difficulties being faced by Nigeria in extraditing Aminu-Sadiq Ogwuche, the alleged mastermind of the April 14, 2014, bombing of Nyanya motor-park, near Abuja, the Federal Capital Territory, where over 100 lives were lost. Sunday Vanguard was made to understand that, penultimate week, the “situation was so embarrassing that the jet, provided by the Nigerian government to convey the suspect from the Sudanese capital, Khatoum, returned after waiting for three days without making a headway in the extradition process”. Information made available, late last night, from the base of the traditional ruler, Sudan and Abuja, suggested that the focus of the investigation of the monarch had to do with funding and remittances allegedly made with a view to blocking the extradition of Ogwuche.